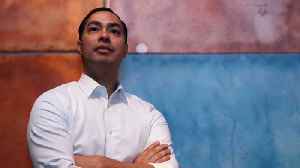 Former HUD Secretary and potential 2020 hopeful Julián Castro stopped by The Daily Show to promote his memoir An Unlikely Journey: Waking Up From My American Dream. 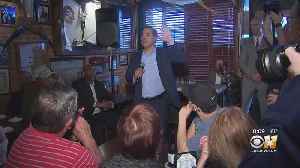 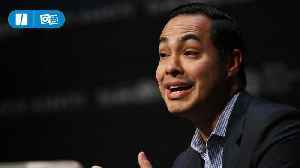 More than 100 people filled St. Pete's Dancing Marlin restaurant and bar in Dallas' Deep Ellum Tuesday evening to meet Democratic presidential candidate Julian Castro. 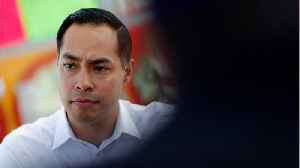 Democratic presidential candidate Julian Castro took a swipe at Bernie Sanders over not backing reparations for descendants of slaves. 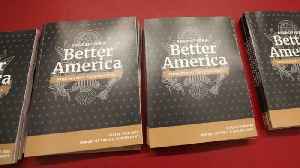 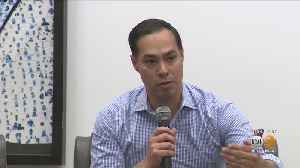 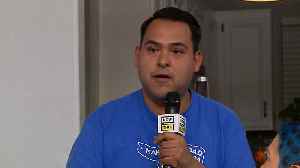 Castro also criticized Sanders&apos; other policy positions,..
With California voters expected to have a huge say in who the Democratic presidential nominee will be, candidates like Julian Castro are already campaigning in the Southland.